Dr. Thomas Hansen had a career as a mathematics education researcher, is co-author of several mathematics books, teacher at various levels, and has a Ph.D in Higher Education Administration. He began his teaching career in the Peace Corps in Liberia in 1964. He directed the investigation of administrative uses of computers for a National Institute of Education project and was a researcher for a National Science Foundation project to measure computer literacy. 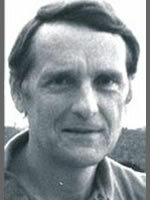 He was a mathematics and computer education author for Scholastic Publishing, IBM, Silver Burdett, Scott-Foresman, and Encyclopedia Britannica. Dr. Hansen was the Founder and President of the Peace Exchange Foundation, which coordinated citizen exchanges between Russia and the US in the 1980's. He was a NGO representative at the Earth Summit in 1992, and at the UN Sustainable Development Commission meetings, working with governments to finance appropriate technology for developing countries. Dr. Hansen is a songwriter, recorded singer and guitarist. He focuses his songs on topics of the environment, peace and justice, and spirituality. He wrote and recorded UFO Oil, a CD with information on the UFO/ET which had 10,000 copies distributed free. His most recent CD, UFO Oil, presents information regarding the UFO/ET issue. He is also the author of a Declaration of Cosmic Cooperation, and the author of the book Trying To Remember. Dr. Hansen is a member of the Advisory Board of the Exopolitics Institute.